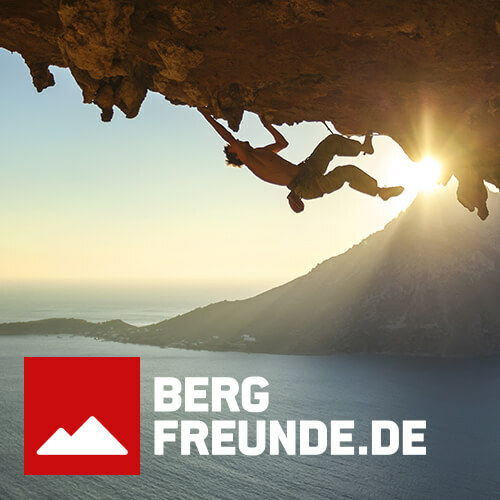 Upon registration, the participant (person registering) bindingly offers the conclusion of a contract to Climbing-Lodge Grit & Tobias Görtz GbR, in the following referred to as CL (Climbing-Lodge GbR). The registration can be made in writing or by electronic means. It is made by the person registering also for all other participants listed in the registration, and the person registering is responsible for their contractual obligation as for his/her own obligations. The contract comes about upon confirmation by CL. If the contents of the confirmation deviate from the contents of the registration, a new offer by CL has to be applicable. The contract comes about on the basis of this new offer if the person registering confirms acceptance within 5 days. The full invoice amount is to be transferred to the following account: Görtz GbR, Deutsche Bank, bank sorting code: 20070024, account no. : 3656568. The claim for the booked services only comes about after confirmation of the registration and receipt of the money. A prepayment of 50% of the invoice amount becomes due for payment at the latest 5 days after the person registering has received the registration confirmation by CL. The registration becomes effective when 50% of the invoice amount has been prepaid. If the money is not transferred to the above-mentioned account within 5 days, the registration becomes invalid and CL will cancel it. The participant expressly declares that there are no medical objections against exercising the kinds of sport offered. CL does not accept any obligatory supervision for underage participants. Children and Adolescents from may only participate in the courses and leisure activities offered together with their parents or legal guardians. The participation in courses and leisure activities offered, the journey, the utilisation of the services mentioned as well as the stay are on the participant's own responsibility. CL is not liable for any defective performance in connection with services that are merely being arranged for as external services (e.g. flights, sport events or activities, excursions, exhibitions, holiday home or apartment rentals, etc.). The liability of CL does neither include risks that are inevitably connected to the sport and leisure activities offered and that the participant consciously accepts nor such damages suffered by the participant through fault of other participants or third parties while exercising sport and leisure activities offered. CL does not accept any liability for the loss of and damage to the participants' property. CL also excludes any claims for liability in case of personal injuries and material damages. In case of loss of the sport equipment on loan or damage due to grossly negligent treatment, the participant is liable for the equipment's current market value or equal replacement. In case of claims for damages against CL the maximum liability amount is limited to three times the invoice amount of the services booked with CL. Applicable are the descriptions of services published in the internet at www.klettern-in-spanien.de as well as the in the respective current catalogue and the information in the travel confirmation referring to such. CL expressly reserves the right to make changes after conclusion of the contract for factual, considerable and unforeseeable reasons. CL is obliged to inform the customer - if possible without delay - of changes to services, unless there are only minor changes. In the event of a subsequent change to an essential service by CL, CL has to inform the participant without delay, however, at the latest 10 days prior to the participant's arrival. Price increases after this point of time are not admissible. Due to the nature of the services offered, changes to the planned event schedule cannot always be excluded. The journeys to and from the holiday destination are to be organised by the participants themselves on their own responsibility and are not part of the range of services offered by CL. The landlord or possessor of the keys is entitled to request a reasonable deposit for possible damages when handing over the keys for the leased premises. The deposit will be refunded upon proper return of the leased premises. In case of the occurrence of a defective performance, the participant is obliged to participate within the framework of the statutory provisions in order to avoid possible damages or keep them to a minimum. The participant is in particular obliged to inform the local service provider without delay of his/her complaints. The customer may rescind the services booked at any time prior to his/her arrival. Decisive is the receipt of the declaration of rescission by CL. The customer has to declare the rescission in writing or by telex. The cancellation takes effect on the day on which it is received by CL. If the customer rescinds the contract or if he/she does not take the services, CL may demand compensation for the preparations made and the expenses incurred by it. When calculating the compensation, usually expenses saved and a usually possible other utilisation of the services are to be taken into consideration. Subject to the following structure, CL can set a flat rate for this compensation claim at a percentage of the invoice amount according to the proximity of the point of time of the rescission to the contractually agreed arrival: up until 61 days prior to arrival 10% of the invoice amount (minimum EUR 25,00), up until 45 days prior to arrival 25% of the invoice amount, up until 21 days prior to arrival 50% of the invoice amount, from 7 days prior to arrival 80% of the invoice amount and from the 3rd day prior to arrival 100% of the invoice amount will become due. Customer requests for changes of the booking will be considered if possible and will be charged at EUR 30.00. Until the arrival, the participant may request that a third person enters into his/her rights and obligations from the contract. CL may object to a third party's entry into rights and obligations for good cause. An administrative charge of EUR 30.00 will be invoiced for altered bookings. There is no entitlement to have a booking altered. If a third party enters into the contract, the entering third party and the person who originally made the booking are jointly and severally liable to CL for the invoice amount and the additional costs incurred by the entry of the third party. In the following events CL can rescind the contract prior to the arrival of the participant. Up until 10 days prior to arrival if the minimum number of participants of 4 persons has not been reached. In this case CL is obliged to inform the customer without delay after occurrence of the precondition for the non-performance of the services and immediately to forward the declaration of rescission to the customer. The invoice amount paid by the customer will be returned without delay. In the following cases CL can terminate the contract after the arrival of the participant: Without notice if the participant considerably disrupts the performance of the services offered in spite of a caution by CL or its representative (e.g. does not follow the instructions of the course instructors) or if the participant acts contrary to the contract to such a degree that the immediate cancellation of the contract is justified. If CL terminates the contract for these reasons, the claim for the invoice amount paid is preserved. If the performance of the service is substantially complicated, endangered or impaired as a consequence of force majeure that could not be foreseen upon conclusion of the contract, both CL as well as the participant can terminate the contract. If the contract is terminated, CL may demand a reasonable compensation for the services already performed or still to be performed. Claims for non-contractual performance of the services are to be asserted by the participant vis-à-vis the service provider within one month after the contractually intended departure date. After expiry of this time limit, the participant can assert claims if he/she was prevented from adhering to the time limit without his/her fault. Claims of the participant come under the statute of limitations after six months. The limitation period begins on the day on which the performance of the service was to end according to the contract. If the participant has asserted such claims, the statute of limitations is suspended until that day on which CL rejects the claims. CL will inform the customer prior to his/her arrival of any important changes to the general regulations stated in the description. The participant himself/herself is responsible for observing all regulations that are important for the performance of the service. All disadvantages resulting from the non-observance of these regulations are at the participant's expense, except where they were caused by a culpable wrong information or failure to inform by CL. Participants who are no German citizens are obliged to obtain information via the competent consulate. Should entry requirements of individual countries not be adhered to by the participant or should a visa not be issued in time due to the fault of the participant so that the participant therefore cannot utilise the services, CL may charge corresponding rescission fees to the participant. The participant is responsible for his/her own insurance policies of any kind. CL urgently recommends taking out travel cancellation insurance, travel accident insurance and health insurance for abroad as well as a private liability insurance. CL is authorized to use the photography, film and videos material shot during offered services on site for advertising purposes as granted by law. Further use is not authorized if client objects. Services of other service providers are arranged for by CL merely with the consequence that the travel and business terms and conditions of the respective external organiser are applicable. CL is not liable for the performance of the service itself. A possible liability in this case is subject to the terms and conditions of the external organiser. Oral agreements, collateral agreements and other undertakings - irrespective of their kind - are only effective if CL confirms them in writing. The ineffectiveness of individual provisions of this contract does not result in the ineffectiveness of the entire contract. Place of jurisdiction is Hamburg, Germany. The contractual language is German, this English translation is only provided for your convenience. In case of any discrepancy between the German and English versions of the General Terms and Conditions, the German version shall prevail.